We wish to extend our heartfelt gratitude for sending so much joy our way. Frank is still blushing with excitement over the love notes, proposals, propositions, and occasional intimate photos sent from his admirers around the world (China, Norway, Japan, and Poland just this week)! At his request, we blindfolded Justin, one of Frank's BFFs, spun him around in five dozen counterclockwise circles, and asked him to point to ten random postcards/envelopes pasted to the wall. After a brief trip to the bathroom, he chose the following lucky winners, to whom we will give a six-month paid account token (for paid, basic, and plus users) or, for our permanent account holders, a $15 voucher for the LiveJournal gift shop. If you happen to be gaming around the corner, check us out on Facebook and be sure to spread the word! We've added new vgifts to celebrate Thanksgiving! Check out our feathered friend, below! In honor of national adoption month, we're offering a charitable vgift (priced at $2.99) to support Love Without Boundaries, an organization that provides healthcare and adoption to orphans suffering from life-threatening diseases. LiveJournal will donate 100% of gross proceeds from the sale (we'll cover the cost of credit card transaction fees). To learn more about Love Without Boundaries, please visit lj_cares. You can purchase your Love Without Boundaries vgifts in the Virtual Gift shop. We'll keep you posted on how much we raise! We're delighted to showcase yet more incredible photos from some of our brilliant LiveJournal photographers around the world. Keep posting (and tagging). And be sure to show some love by commenting on the awesome view at lj_photophile. Check out this week's photos and more amazing user content after the jump! CSI Deadly Intent contests heat up! 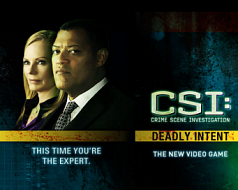 We're back with more pulse-racing contests to celebrate the launch of CSI: Deadly Intent for the Wii. To participate, join csi and submit a question to the CSI: Deadly Intent writing crew. If your question is selected, you'll get a posted response plus a free copy of the game, which features killer graphics and story lines. Feeling lucky? You can also play online and answer a couple of questions for a chance to win a Wii! Winners will be selected based on composition and originality. Sorry, but you must be a U.S. resident and over 18 years old to enter. Check out the rules here. Join the smashing fashion passionistas of fashin for a fat-free helping of witty banter and lavish pix covering the best and worst in haute couture. I could listen to the Goo Goo Dolls Dizzy Up The Girl album. By far one of my favorite albums because it just always brightens my mood, or fits any mood I'm in. Swans Soundtracks for the Blind. It's lush and textural music makes my mind wander into its innermost recesses. Only one CD...hmmm...That's a hard one and I would say it would have to be a tie between 3 CDs: Master of Puppets by Metallica, Zeppelin 4 by Led Zeppelin and Dark Side of the Moon by Pink Floyd. The Black Parade from My Chemical Romance. This CD is the CD that saved me multiple times and so if I could only listen to one CD why would it not be the one that saved me before because if i only had one CD I would probably go through the same things as before. Led Zeppelin II. Seriously, why even ask? Thanks, again, for joining us. See you next week!